Dance strips us of the false self, beliefs, imprints that cover up our true self. The body cannot lie so when we are able to listen through the body we hear truth. If you do not meet at least one of the above pre-requisites, please email info@pathofazul.com to discuss your participation. The mission of the Garrison Institute is to demonstrate and disseminate the importance of contemplative practices and spiritually grounded values in building sustainable movements for a healthier, safer, and more compassionate world. Working collaboratively with practitioners in diverse fields, the Institute develops and hosts retreats and symposia, produces research and publications, and provides a hub for ongoing learning networks. 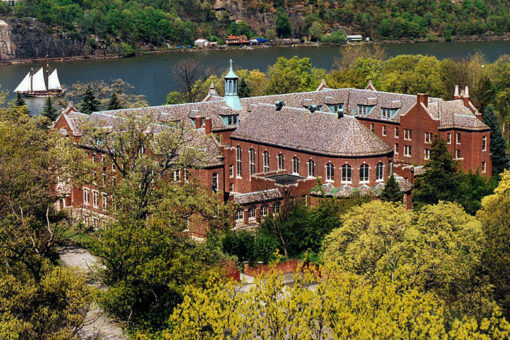 Perched above the Hudson River about 50 miles north of New York City—on the east bank of the river across from West Point—the Garrison Institute is nestled in the hills of a landscape made famous in 19th century Hudson River School paintings. Facilities include a variety of spacious meeting and break-out rooms, an inspirational non-denominational meditation hall seating up to 300, a wood-paneled dining hall holding 175 at one seating, a library, a theater, high speed internet access, and state-of-the-art audio and visual resources. 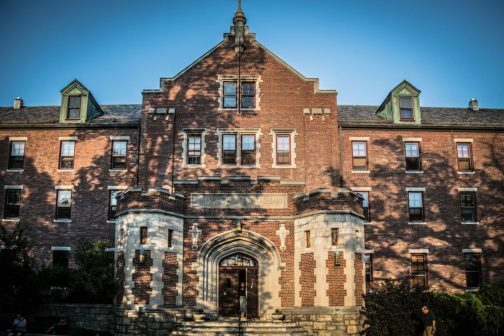 The Institute currently offers accommodations for 165 overnight guests, in single, double and dorm style rooms. The Garrison Institute is located directly off Route 9D in Garrison, New York, approximately 50 miles north of New York City. Major highways nearby include Interstate 84, Route 9, the Palisades Parkway and the Taconic State Parkway. Please click here for detailed instructions how to get to the Garrison Institute.